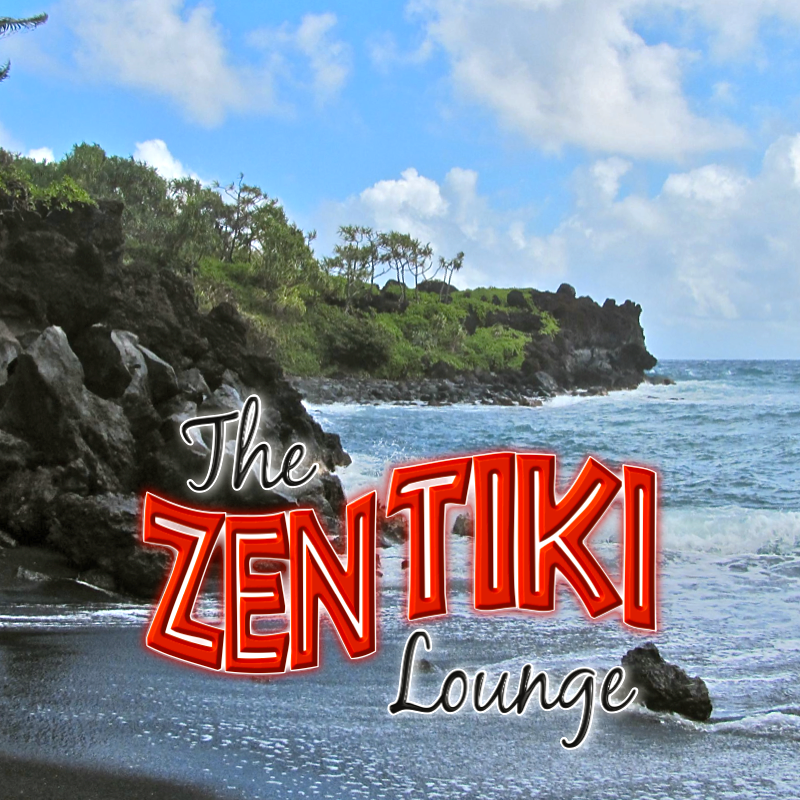 OK, so Muammar and Barack may not have actually dropped by the Zen Tiki Lounge to enjoy our tantalizing drink list. But, Sunshine and Pumpkin engage in plenty o' conversation about current events. The current state of world affairs would send anyone to their local tiki bar for a good dose of liquid brain washer. This week we try another drink from the new book by Kahuna Kevin. The "Scurvy Mouthbanger" is a great redeux of the classic Harvey Wallbanger. Fresh citrus, rum and ginger notes combine for a simple and timeless little drink. Our music this week includes some Hawaiian style ukulele by Troy Fernandez and other exotica. Since Pumpkin has just returned from Hawaii, she shares a few items that can only be found on the islands. She also shares some thoughts on how Hawaii is far ahead of the rest of the country when it comes to greening their environment. Sunshine enjoys some of the Okolehao that Pumpkin just brought back from Maui, and this partially leads to a political rant about equal rights. All par for the course in this tiki bar. We hope you enjoy the show. We sure did.